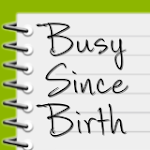 Busy Since Birth: Ah, Scheduling! My calendar stresses me out. This is something I say fairly often. It could be the millions of birthday parties and playdates, but really, I'm okay with all that. It is the constant juggling of our work, school and daycare schedules that totally pushes me over the edge. If you want to have any vacation time as a full-time employee and parent to say, actually take a vacation, you must be extremely careful about juggling who is going to be where when. Thankfully, we have Bright Horizons Back-up Solutions, of which I've written previously, and wonderful extended family members who always can help with a day here and there. But it is the scheduling of all this that drives me absolutely insane. 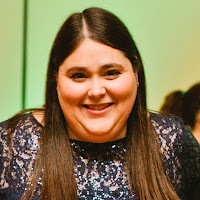 So I'm sitting here filling in the our Google calendar (G-d bless the Google calendar) with the dates for Max's daycare next year, and I had to share this phenomenon with you, by posting the email I just sent my husband, who is working at our other computer downstairs (I'm even spelling out our usual acronyms for you, and putting in a bit more description). Enjoy the chaos. I'm putting everything from the Early Learning Center (ELC) in the Google calendar and just feel like emailing you this instead of interrupting your work. Plus I'm not sure I could say this all out loud. There's still no school that day because it's Erev Rosh Hashanah. And that means he effectively has no school all week. And if we were to take off all of those days, we will have no vacation time left to go to Paris (which we are hoping to do at year end). Gotta love the end of summer.